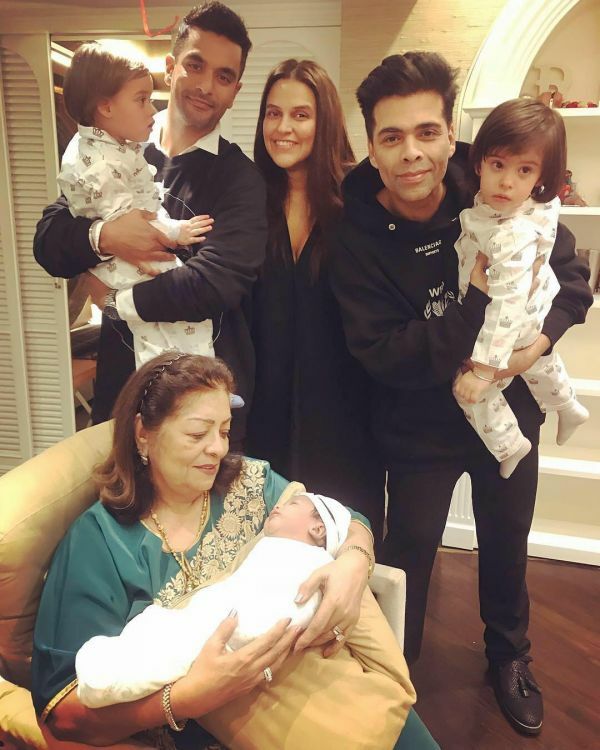 We Bet You Didn't Know Karan Johar's Twins & AbRam Had This Connection! 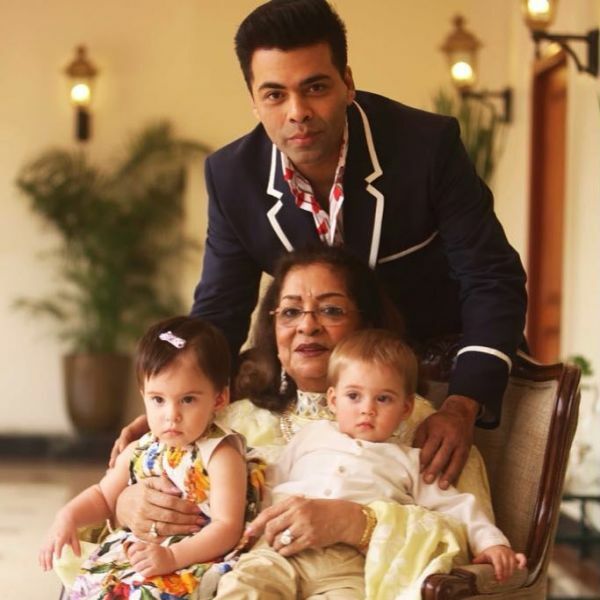 It seems only yesterday that Karan Johar announced to the world that he had welcomed Yash and Roohi into his family. The twins, who turn two today, became the darlings of the Johar household and the national media as well. 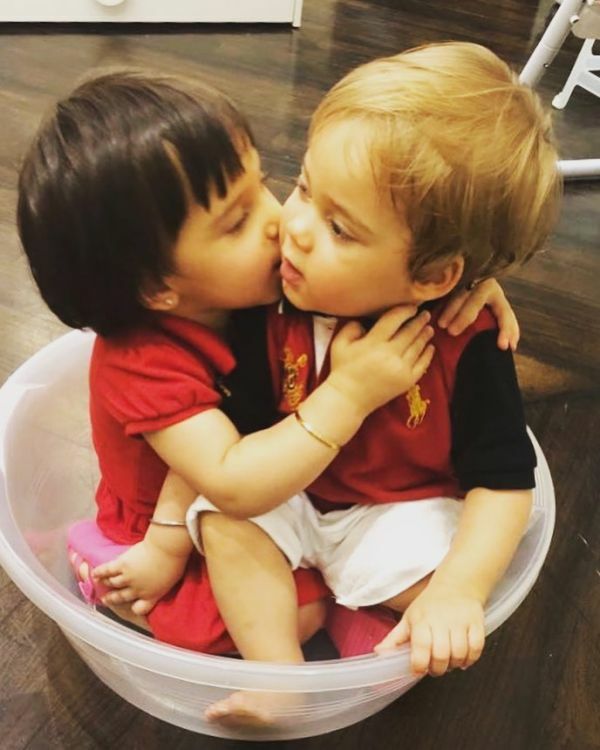 Soon, Yash and Roohi were all over the internet with daddy Karan uploading cute photos and videos of the siblings. For their special day today, Karan is leaving no stone unturned to make it a birthday to remember. According to media reports, the filmmaker is planning to throw a grand party at the Taj Lands End in Mumbai with all the celebrity kids of Bollywood - Taimur Ali Khan, Innaya Noimi Kemmu and Laksshya Kapoor included - in attendance. 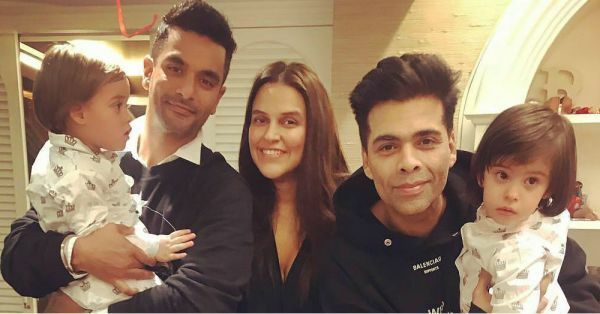 However, we know that Mehr Dhupia Bedi, daughter of Neha Dhupia and Angad Bedi, may not be there at the party. Little Mehr shared a message online, mentioning that she was busy at the moment and promised to 'create havoc' when they met. As we look forward to what should be an amazing get-together (the pictures for which will definitely break the internet), we look back at some of the things about Yash and Roohi that make them special. In no random order, here are 9 things we bet you didn't know about the twins! Yash takes his name from Karan's father and legendary filmmaker Yash Johar. Meanwhile, Roohi takes her name from Hiroo Johar, Karan's mother, after you rearrange the spelling. Yash and Roohi were born nearly two months prematurely. That resulted in complications after their birth, which required them to spend quite some time in the Neonatal Intensive Care Unit. Karan had mentioned that it was the most terrifying moment of his life. IVF (In Vitro Fertilisation) specialist Jatin Shah guided Karan with the surrogate birth of his kids. Dr Shah had also helped Gauri and Shah Rukh Khan with their surrogate child, AbRam. The three children also share the same hospital, Andheri's Masrani Hospital. In his book An Unsuitable Boy, Karan had mentioned his desire to adopt children or opt for surgery. The book had released about two months prior to Yash and Roohi's birth. Like almost any other Dharma Productions movie, Yash and Roohi's homecoming after their birth was filled with drama. Karan told a newspaper back in 2017 that his mother Hiroo was at the door holding a puja thali to welcome her grandkids - almost like Jaya Bachchan in the movie Kabhi Khushi Kabhie Gham. He then took the twins up to his father's room and saw their reflection on his photograph, merging with his image. 6. Karan Has Been Penning Heartfelt Letters To Kids - Just Like Kuch Kuch Hota Hai! In his first year of fatherhood, Karan wrote a tear-jerking letter to his children, mentioning how rare and different they were. The director poured an abundance of emotions into the letter, which only reminds us of Kuch Kuch Hota Hai, his directorial debut. 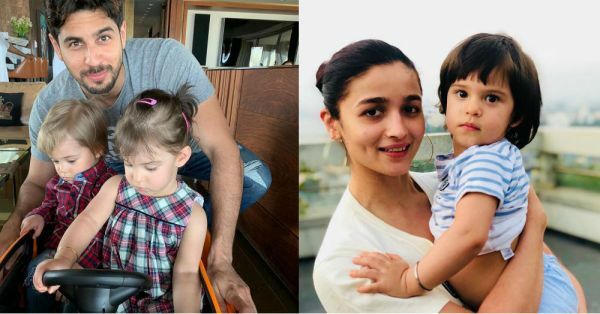 The twins have been spotted on multiple play dates with other famous children in Bollywood. 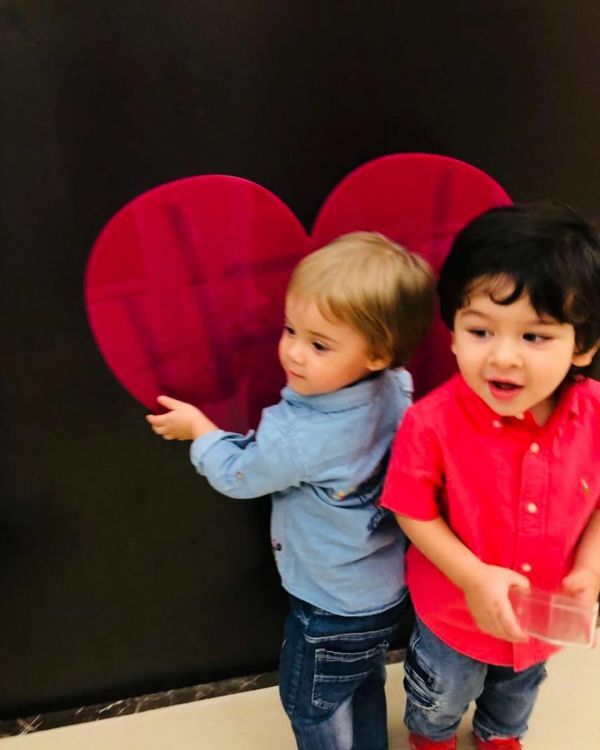 The two nearly brought the house down along with Taimur with their abundance of cuteness at Tusshar Kapoor's son Laksshya's birthday party in June. They may be just two but Karan has made it clear that he wants his kids to start developing their learning skills early on. Last December, Karan shared a picture of Yash and Roohi all geared up ready for school. Karan has also been spotted picking his kids from school. 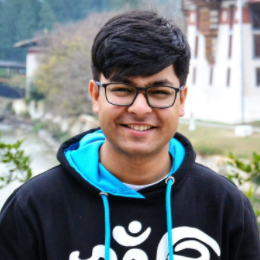 Karan had mentioned how Yash and Roohi's birth had enabled him to reconnect with old friends and people who he hadn't talked to for a while. The twins also gave a number of Bollywood personalities to frequently visit Karan's house to spend some play time with them. Among them were Alia Bhatt, who has been seen cuddling Roohi, and Siddharth Malhotra had dropped by to gift them a toy car. Knowing Karan Johar, we can surely expect tonight's party to be one-of-a-kind and we cannot wait to see the pictures from the event.